Whispers of a revival of the iconic Motorola Razr are nothing new – with rumours sent into a frenzy after the relaunch of the Nokia 3310 two years ago. More recently, the schematics of a handset widely-believed to be the 2019 rebirth of the Motorola Razr were spotted in a patent filing, which were quickly transformed into a stunning high-resolution render based on the illustrations included with the official document. And now, we have a stunning video based on the Motorola Razr patent, which shows how gorgeous this rebooted handset could be when it returns later this year. The concept video, which created by designer Waqar Khan and picked-up by technology blog GSM Arena, is filled with slick animation showing how the Razr devices would work in practice. 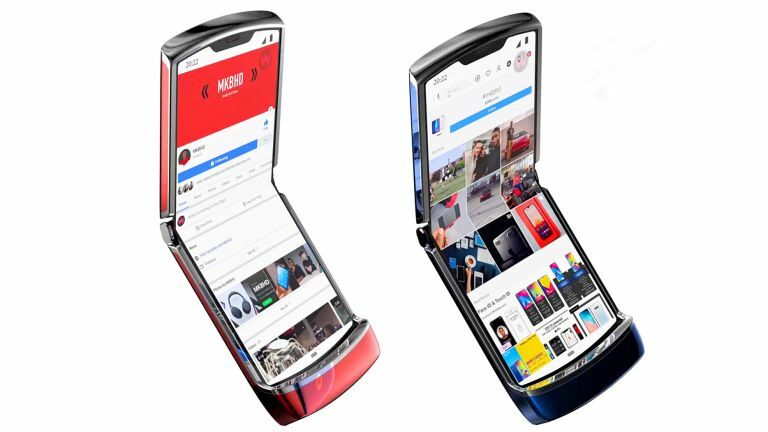 Like the original, which launched in July 2004, the latest Razr device in the video has flip phone design with a screen on the outside of the casing as well as inside the fold. But unlike the original, which used this to folding mechanism to press the physical keypad and the small LCD screen together to make the handset more compact, the 2019 reboot will use a single continuous foldable display that can be pressed together in half when the device is folded. Like pliable rivals from Samsung and Xiaomi, this will enable Motorola to offer a much larger display, while keeping the physical footprint of the device small enough to carry around – unlike a tablet. Based on the video created by Waqar Khan, the new Motorola Razr looks set to remain pleasingly familiar to fans of the original design, complete with rounded corners at the top and bottom of the handset, and a small secondary display. The video, which is still only a concept – despite having its roots in a patent filing, imagines a number of clever software solutions to the clamshell design, including handling notifications on the small display on the outer casing to let smartphone owners judge whether its worth unfurling the pliable display to reply. The video also shows a notch at the top of the screen for the earpiece, and probably a selfie-camera. In terms of specifications, we know very little about the new Razr, although it's safe to assume it won't be Motorola's long-rumoured 5G smartphone. Fortunately, we could find out all the details about the new Razr very soon. Motorola is rumoured to announce the remake during its Mobile World Congress tradeshow. The bad news, according to GSM Arena, is that the all-new Razr will be only launched as a $1,500 (some £1,160 converted) Verizon-exclusive in the United States with a limited run of 200,000 units.